Los Angeles Cold Storage has been earning the trust of all types of cold storage users for over one hundred years. Our customers have entrusted us to store a wide variety of fresh and frozen products, including, beef, poultry, pork, seafood, prepared foods, fruits and vegetables. Every type of refrigerated or frozen product you can imagine has moved through one of our three locations at one time or another. This varied experience enables our customer to have confidence that Los Angeles Cold Storage has the knowledge to properly handle whatever goods they ask us to warehouse. Because of our expertise and knowledge, our warehouse personnel have come to be known as seafood specialists. That reputation was earned from the many years we have been storing the widest variety of seafood products possible. 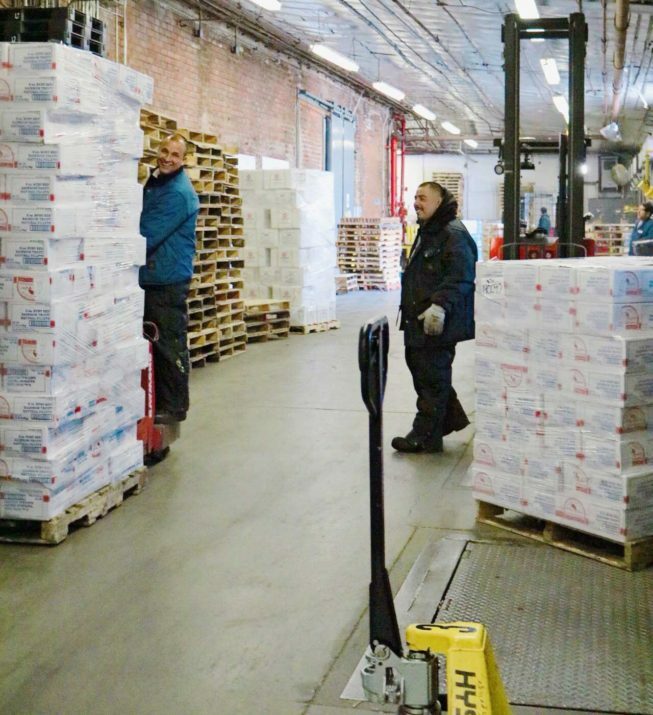 Many of our employees have been warehousing and handling seafood products for decades.